Christmas is fast approaching and the festive cheer can be felt all round the City, with the lights that line practically every street and the ice rinks full of joyous children it is a quite wonderful time of year. There is however the stressful ordeal of Christmas shopping. With this quick guide to the best holiday pop up stores in the city, you´ll have no problems finding an original and unique gift for that special someone. For all your technical needs, get yourself down to this high tech pop up that showcases some of the most intelligent and advanced gadgets on the market. The interactive shopping experience offered takes Christmas shopping to another level. The store is open for 11am to 7pm and is closed on Mondays. The sought after e-tailer is bringing their luxurious basics to the meatpacking district this winter. Be sure to take a walk around and browse some of their exquisite silks and cashmeres, perfect for your mother! The Dannijo bibs are quickly becoming a hot accessory to have and this 600 square foot space that has opened is the perfect, chic environment to browse the collection to find something special. The store is open from 11am-7pm Monday to Saturday. The chic mobile boutique that is in fact a revamped potato chip truck is the brain child of Joey Wolffer, a budding entrepreneur, designer and now a truck driver too! An eclectic selection one-of-a-kind and limited edition accessories are available within. You can catch the truck in front of Eataly at 5th Avenue and 23rd Street on Wednesday and Thursdays from 11:30am-7:00pm, or head to the Meatpacking District and hop on at Washington Street- Fridays and Saturdays from 11:30am-7:00pm and Sundays from 11:30am-6:00pm. The impressive life size gingerbread house and the Christmas tree made of candy are even worth the trip alone. Within there is a vast selection of sweets and treats for your every mood. Even better, to buy for a friend with a serious sweet tooth. Candy heaven is located at 1095 6th Avenue, across from Bryant Park. It is open from 10:00am-9:00pm on weekdays, 10:00am-10:00pm on Fridays and Saturdays, and 11:00am-9:00pm on Sundays through January 7th. 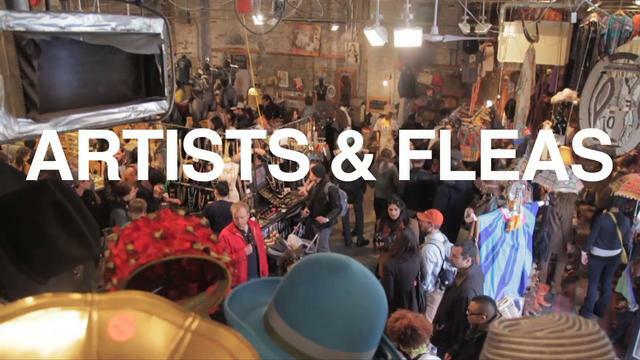 The famous Brooklyn market Artists & fleas is now in Chelsea market for the festive season. This means you won’t even have to leave Manhattan to enjoy the 50+ independent Brooklyn based designers. The market is located in Chelsea Market at 88 Tenth Avenue, near 15th Street. Store hours are 10:30AM-7:00pm daily. With this brief guide to the best holiday pop ups you should receive no complaints regarding your original gifts this year! Posted in: I FeelNYC - Lifestyle, I FeelNYC - Shopping, I FeelNYC - Tourism	| Tagged: +, artists, complaints, dannijo pop up, dylans candy bar, everlane, FeelNYC, fleas, nyc, pop, problems, shopping, store, styleliner, up, wired.